Baking Oznei Haman/Hamantashen for purim is so much fun. Enjoy! Recipe from back of poppyseed can! Our friendly local bakers Guy and Avi at the Yesh Bakery in Modi’in Illit show us how they bake kosher Hamantaschen for Purim in the spirit of the Jewish holiday. אופים ידידותי שלנו גיא ואבי במאפייה יש במודיעין עילית הראה לנו איך הם אופים אזני המן לפורים ברוח החג. Is your life disjointed or cohesive? As you live from day to day, do you ever feel that in your struggle for survival you may be missing the bigger picture? Does the minutiae of your schedule (work, pressures) shroud your larger priorities — like finding love and building a relationship? In time of pain and anguish, are you able to recognize that these dark moments may be part of a greater story? Can you see the thread that connects the fragments of your journey, or do you just move from moment to moment, trying to make the best of what comes your way? Long before Kierkegaard wrote that “you can only understand life backwards, but we must live it forwards,” we have the story of Purim that tells us about the exactly that message: While experiencing life we cannot see the hidden script that connects the dots. But in retrospect a pattern emerges as we discover the underlying narrative that leads to salvation. G-d’s name is never mentioned in the entire Megillah (the Purim scroll), emphasizing that the Divine Choreographer remains behind the scenes, even as He orchestrates a series of events, which may appear random to us, when in fact they are frames of a larger drama unfolding. 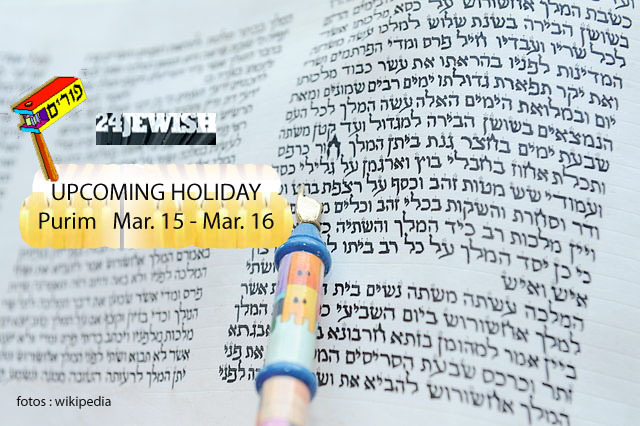 Please join Rabbi Jacobson as he teaches us, in this pre-Purim class, how to discern the hidden narrative playing itself out in our lives today. How to see the forest for the trees. Discover methods that allow you to transcend the moment and connect it to the birds’ eye vision of your life story. Learn how to tap into the power of Purim and transform your life. A brief introduction to the highest holiday on the calendar~PURIM! Purim is celebrated annually on the 14th day of Adar the day following the victory of the Jews over their enemies. Purim is characterized by public recitation of the Scroll of Esther (keriat ha-megillah), additions to the prayers and the grace after meals (al hannisim), giving mutual gifts of food and drink (mishloach manot), giving charity to the poor (mattanot la-evyonim), and a celebratory meal (se’udat Purim); other customs include drinking wine, wearing of masks and costumes, and public celebration. Funniest Jewish Purim Video Ever!!! Funny skit using music videos to tell the story of Purim. Starring David Sussman and David Fine. Edited by Brian Friedman. If I forget thee, O Jerusalem​​, let my right hand forget her cunning. if I do not remember you Jerusalem​​ above my happiness. Banyas- Albi Ensemble – Jewish spiritual and traditional music. Albi Ensemble are a group of musicians from Jerusalem that gathered together to create music for the soul, the music is inspired by the ethnical traditions around the mid-east and north africa, as well as eastern Europe and the Mediterranean, most of the tunes are composed by Nadav Lev An Oud player and singer who gathered the ensemble together. the texts are usually inspired by or taken from the Jewish biblical sources, Psalms and Song of songs. Does Rick Jacobs Think Intermarriage Is Good? Häufig lebten Juden seit der Antike in Europa in abgesonderten Stadtvierteln, insbesondere in den Ländern um das Mittelmeer und seit der Spätantike auch im Gebiet des heutigen Deutschlands. Ursprünglich konnten sie fast allen Berufen nachgehen. Es wurde ihnen auch meist volle Handelsfreiheit gewährt, sie durften auch Grundeigentum erwerben. In der mittelalterlichen Stadt lebten die einzelnen sozialen Gruppen und Berufsgruppen meist überwiegend in einem bestimmten Stadtviertel oder einer Straße. Im Sinn dieser jeweils verdichteten Siedlungsweise lebte auch die Mehrzahl der Juden üblicherweise in einer (dann nach ihnen so genannten) Judengasse oder einem Judenviertel, unter anderem deshalb, weil ihnen deren Absperrbarkeit (nicht wörtlich zu verstehen: Eine symbolische Absperrung durch eine Schnur oder Kette reichte) nach außen durch die Bildung eines sogenannten „Eruv” (deklarierter Bezirk, innerhalb dessen auch am Sabbat bestimmte Arbeiten gestattet waren) die Einhaltung der Sabbatgebote erleichterte. Ebenso wie meistens auch einige Juden außerhalb dieses Stadtteils lebten, lebten andererseits auch Nichtjuden innerhalb des Judenviertels. Auschwitz steht für die systematische Vernichtung des Judentums. Doch im polnischen Krakau, nur eine Autostunde entfernt, entwickelt sich das jüdische Leben mit neuem Selbstbewusstsein. Gerade junge Juden sind mittlerweile wieder stolz auf ihre Herkunft. Immer mehr Nachfahren polnischer Juden entdecken ihre Wurzeln. Das hat Nikolaus Schweickart, der Vorsitzende der Städel-Administration, bei einer von den Freunden und Förderern des Jüdischen Museums organisierten Diskussionsveranstaltung über Raubkunst im Casino der Frankfurter Stadtwerke berichtet. … Uhr für Besucher geöffnet. Weitere Informationen über das Thema jüdisches Leben und die Synagoge erhalten Interessierte auch beim Arbeitskreis Jüdisches Bethaus, Johannes van Leuck, 02835 /3913 oder unter der E-mail-Adresse: van_leuck@gmx.de. Düsseldorf. Die Jüdische Gemeinde Düsseldorf zeichnet die Toten Hosen aus. Die Punkband hatte im Oktober 2013 bei gemeinsamen Konzerten mit den Düsseldorfer Symphonikern an von den Nazis geächtete Komponisten und ihre Musik erinnert. Renewal: Reconnecting Soviet Jewry to the Jewish People. A Lecture by Anita Weiner, Ph.D.
Meet Dan, Benji, Sarah and Samantha, four roommates in Washington, DC, whose paths intersected when they all became Moishe House residents. Today, their home is a center of gravity for young Jews in the community who, like them, want to create and share Jewish experiences with friends. Moishe House is a network of nearly 60 houses in 14 countries that fills a void in the Jewish community created by the growing gap between college years and family life. Every Moishe House is run by a group of 3-5 young adult residents who are provided with rent subsidies and a program budget to host an average of six monthly events for peers in their community. What started as a house for four friends in Oakland, California, to host Shabbat dinners has grown into a global network that provides opportunities for 60,000-plus young adults annually. We partner with organizations like Moishe House because we believe change IS possible. Rabbi Yosef Mizrachi says the Pope resigned to join Judaism!!! יאנינה, יוון – חלק 4: יאנינה Greece, Part …..
W tym roku obchodzimy 25-lecie Wolnej Polski. Gazeta Wyborcza ogłosiła plebiscyt na osobę i wydarzenie, które wywarły wpływ na nasze miasto po 1989 roku. FKŻ dostał nominację w kategorii wydarzenie i teraz wszystko jest w Waszych rękach! Do 3 lutego możecie jeszcze głosować – albo przez stronę Gazety, albo za pomocą kuponów drukowanych w Wyborczej. Zapraszamy do Cheder Cafe – na nową, zimowo-wiosenną serię wydarzeń. W ciągu tych trzech miesięcy będziemy obchodzili 5. urodziny Chederu, będziemy świętowali Purim, piekli hamantasze i chałki, uczyli się jidysz i kaligrafii hebrajskiej, poznawali żydowską medycynę ludową i krawiectwo, smakowali różne odmiany kawy z findżana… A wszystko to zacznie się 6 lutego prezentacją Janusza Makucha pt. Klezmer is Dead! Zapraszamy! SINCE THE FALL OF COMMUNISM – TIME TO VOTE! This year we are celebrating 25th anniversary of the first free elections in our country, marking the fall of communism. Gazeta Wyborcza, the largest Polish daily, organized a plebiscite for its readers to choose event and person who were especially significant for the city and its citizens within those past 25 years of democracy. Our Festival got nominated as one of the 25 events– now this is your turn to vote for the Festival (until February 3rd). Below you can find a link to the website, where you can vote – it is all in Polish unfortunately, but here you can find step-by-step instruction how to vote. After short break we invite you to join new series of cultural and educational events in Cheder Cafe. Between February and April we will keep you busy in many different ways: we will celebrate 5th birthday of the Cheder Cafe, we will celebrate Purim, we will bake challa and hamantashen, learn Yiddish and also Hebrew calligraphy, will learn about the Jewish natural medicine and … tailoring! And everything will start on February 6th with the presentation by Festival’s Director Janusz Makuch under the title: Klezmer is Dead! We are waiting for you in Cheder Cafe! Jewish Culture Festival in Krakow, Poland – the largest of its kind, very hip and oldschool at the same time – invites you to Kazimierz – the Jewish heart of Krakow – to experience what is best in contemporary Jewish culture from Israel and Diaspora! Video made by ElektroMoon, music provided by Josh Dolgin aka DJ Socalled. Thank you! How to embrace and overcome your challenges. It’s not enough to just show up. Inspiration takes work. Can privately-owned stores dictate how we dress in their store? The surefire way to unhappiness. I hate one of my teachers. What should I do? Why precision matters in spirituality. DW presents a look at the development of German-Jewish cultural heritage in China. Brown’s first Jewish Film Festival, complete with three award-winning movies, food and a forum for cultural, spiritual and academic discussion hits theaters near you — the Perry and Marty Granoff Center for the Creative Arts and Wilson Hall — next week. The experience last year at Cracow’s annual Jewish Culture Festival prompted Daniels, a 28-year-old Israeli and Holocaust educator, to organize the largest-ever Knesset delegation to Auschwitz. Nearly half the Israeli parliament was in Poland Monday, Jan.